Almost 10 years ago, around 2002, my mobile phone was the Sony Ericsson P800, then one of the most advanced mobile devices. As the P800 was considerably bulky, I had an idea of how a normal mobile phone could be a part of a larger and more powerful multi-purpose device. The benefit of this modular design is that I can choose to carry a lightweight phone with basic telephony functions that can fit into my pocket when I needed, or insert into a more powerful device for advanced computing. Today, this concept is realised by ASUS. They call it the Padfone. It’s not really a wild idea. I’m sure some geek communities have already bounced this idea for years. You just need someone who believes that the product is commercially viable and mass produce it. And it took someone 10 years. Having said that, the Padfone is still not what I envisioned. In the Padfone, the tablet body is an extension of the phone. Upon docking the phone into the back of the tablet, the phone screen is displayed on the larger tablet screen. Additional multimedia ports and speakers are interfaced to the phone, where all the processor and storage reside. 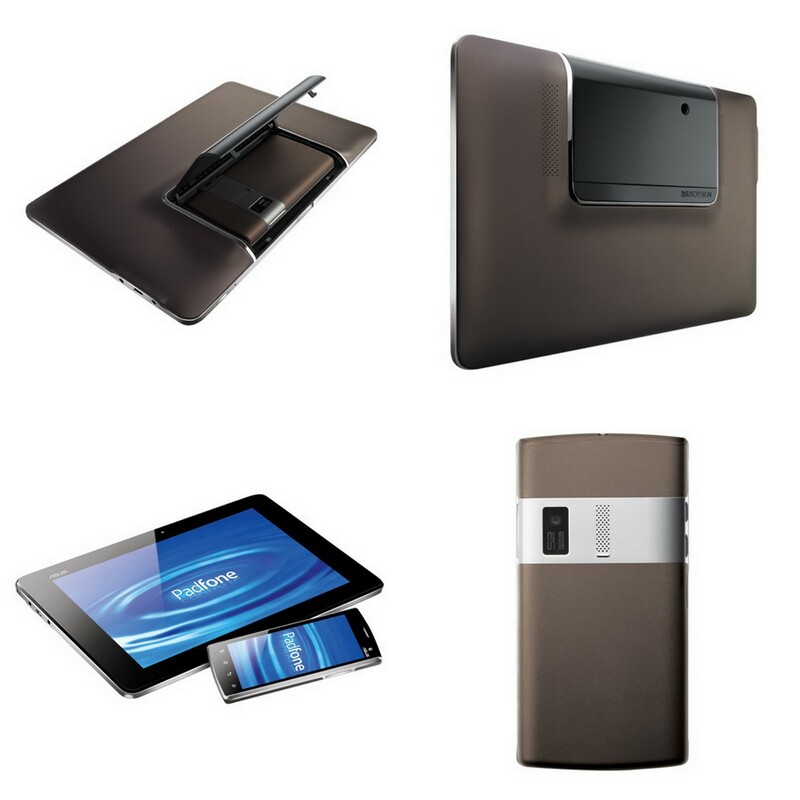 The tablet also comes with battery – just like the ASUS Transformer keyboard dock – to charge the phone. Remove the phone, and the tablet loses any functionality. My vision is that both devices can function on their own, while the phone module provides the mobile connectivity to the tablet form when docked. This would probably mean double the components and thus no different from purchasing 2 individual devices. Well, how about double the processing power when merged? We now have dual-core processors running on pocket-sized phones ya? But do we really need dual-core? So how about running in single-core on separate devices and then combine the core processing powers when docked together? It may not be as efficient as one dual-core processor, but I’m sure the R&D engineers can figure that out in time to come. And I hope I don’t have to wait another 10 years to see that happen. More info on the Padfone can be found on their microsite here. This is a break through for ASUS. I like the idea that it's going to be a sort of adapter for your phone to make the screen bigger. I just want to know if you could answer incoming calls while your phone is inside. Sort of a loud speaker and mic. Pingback: ASUS Padfone Infinity – Music.Photo.Life.